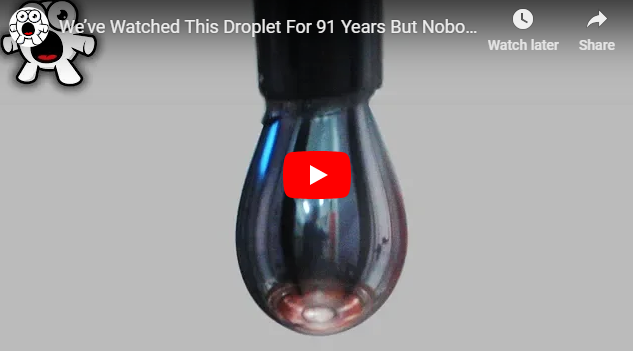 This droplet is part of whats known as the longest running scientific endeavor according to Guinness World Records. What you see here is the pitch drop experiment which has been going on for 91 years. Back In 1927, Thomas Parnell, a professor at the University of Queensland in Australia set out to demonstrate to his students that while some substances appear solid, they’re actually highly viscous fluids.